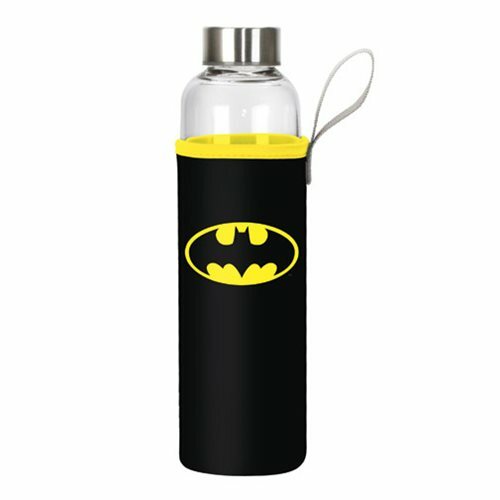 There's no mistaking which side of the crime-fighting game you're on when you carry this boldly colored 9 3/4-inch tall Batman Logo 20 oz. Glass Water Bottle with Neoprene Sleeve along on your adventures! Hand wash only. Not dishwasher safe. Do not microwave.